BroadPay exists to deliver state-of-the-art electronic payment solutions globally. We provide merchants with tools to serve the unbanked under-served population. Use our payment system to sell airtime, ZESCO units and DSTV/Gotv products. Download the BroadPay merchant application and become a bank agent for the bank agency system. Our 6-foot, double screen voice interactive bill payment kiosk allows customers convenience to pay bills from their location. 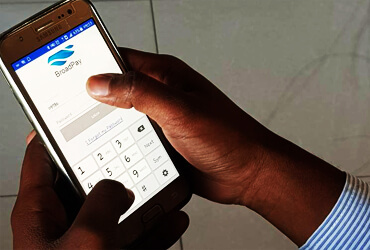 The BroadPay mobile app is used by merchants to sell Airtime, ZESCO units and DSTV subscription, plus branch-less banking by our agencies. 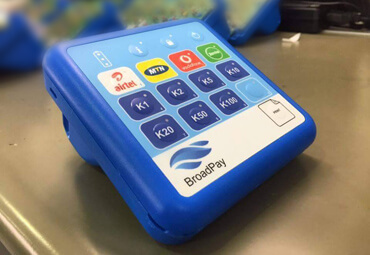 BroadPay’s portable airtime vending machines aim to replace physical Scratch cards providing a convenient way of transacting. Running a business? Sign up with us today.